Today’s club ride was Gene’s “San Dimas South” route. The last time we did this one was on a gloomy day in April. 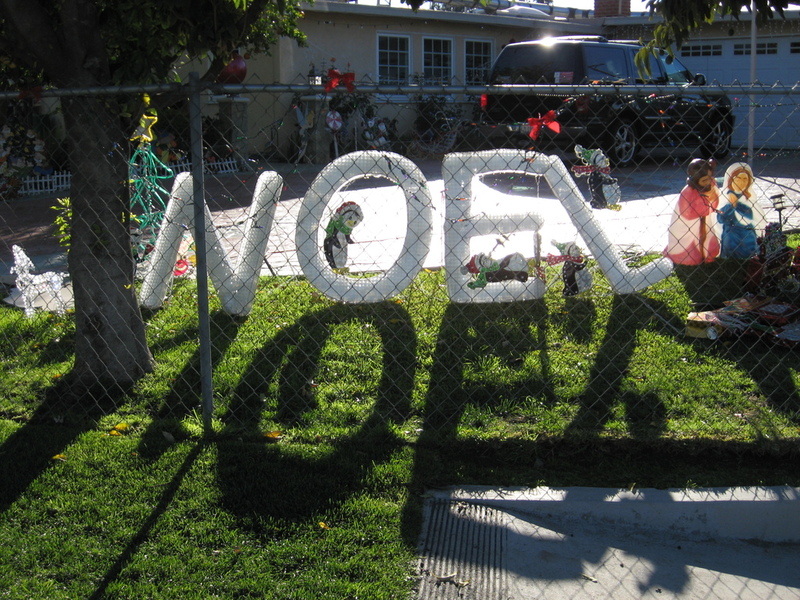 Today wasn’t gloomy, but it was cold by SoCal standards. We took a picture at the start, since Gene and I both had decorated our bikes for the holidays. 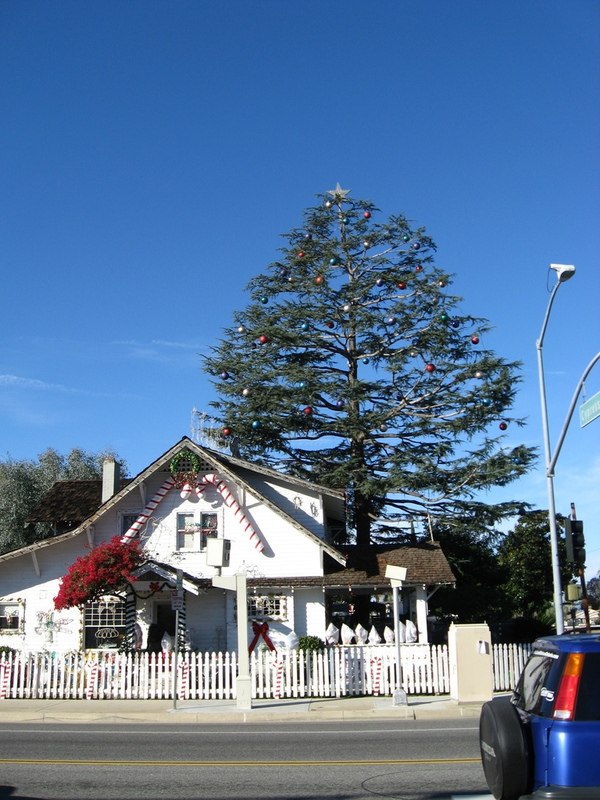 Along the way, we saw some amusing decorations on houses, including the big tree decorated with big ornaments. 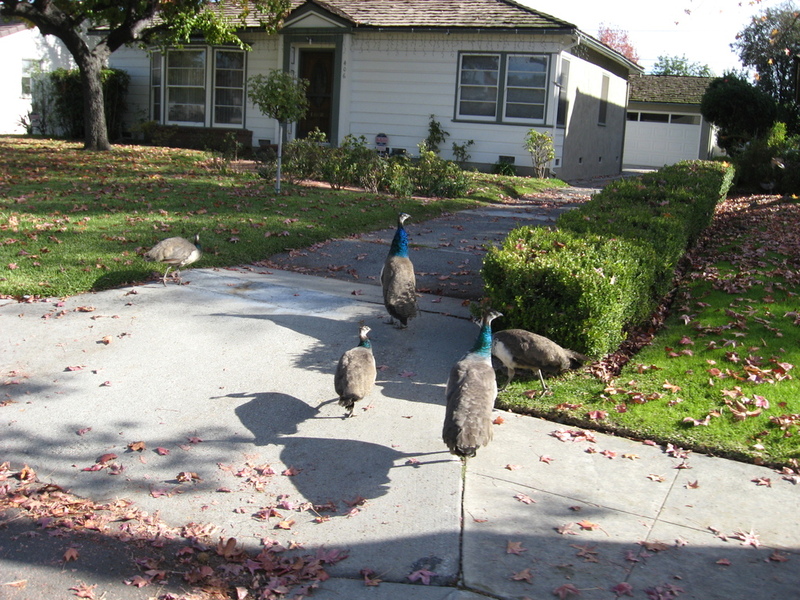 And at then end, we saw a small harem of peahens in Arcadia. I skipped the snack stop, since I had to get home a bit early to pick up Lucinda, so it was a relatively quick ride. But it was nice.